Syed Faisal Huda and Syed Faizal Huda have been working as Forensic Experts for the last more than 9 years in the various Courts of Delhi, NCR and some other states of India. 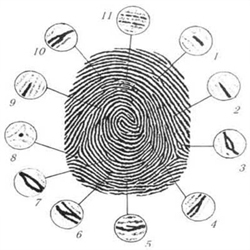 They are giving Expert opinion on the subject of Forensic Handwriting, Fingerprints, DNA, Ballistic, Audio and Video Authentication as well as providing Forensic Interpretation on Medico-Legal Cases i.e. Suicidal, Homicidal and Accidental. They have tendered Evidence by way of Affidavit or Examination in Chief in numerous Courts of Law including Civil & Criminal Cases, Departmental Inquiries, Dept Recovery Tribunals (DRT), National Consumer Disputes Redress Commission, New Delhi etc under section 45 of Indian Evidence Act (IEA). They had also assisted to Lawyers in the Cross Examination of Private and FSL Experts at many occasions. 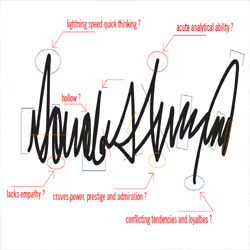 They have obtained B.Sc (Hons) Degree in the field of Forensic Science from Amity University, Noida, Uttar Pradesh (U.P) in the year of 2009 and since then working as a Professional Forensic Expert and so far examined and prepared more than 1300 reports on the subject of Handwriting / Signature and Fingerprints Verification under sec 45 of Indian Evidence Act (IEA) and also given deposition in various District and High Courts including CBI, Arbitration, Labour Courts etc in this connection. We provide Audio and Video Authentication report along with the Transcription of the provided audio/Video files in Hindi and English languages. Audio and Video Authentication is carried out under various sound and video analyzing softwares and their snapshots are enclosed with the Authentication reports. 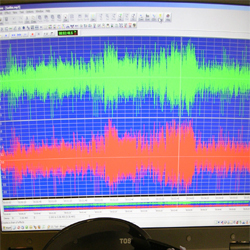 With the help computer softwares tempering or editing in any voice and Video can be detected by analyzing auditory examination as well as waveform/signals properties. Video Tampering is detected under various video effects as well as by checking sequence of clip files and their arrangements to the entire length. The work of Forensic Experts and their opinions are admissible under section 45 of IEA, whether submitted by qualified independent forensic expert or submitted through the experts of private forensic agency or laboratory.